Most of our Kirtan festival recordings from around the world up until 2014 are available as free downloads. The 2015 recordings and some (by the organizer) restricted recordings are exclusively broadcasted on our radio stream and can only be downloaded as a member or through our donation based online store. Part of those membership fees and donations are flowing back to the events as this is one of the 3 main goals of 24 Hour Kirtan Radio, i.e. to support Kirtan festivals worldwide. Last year’s Kirtan Mela Germany recordings were not so good quality, but I hope it will be better this year as in the initial years. I will contact the organizer and will add the recordings asap. Today, I’ve also contacted two devotees from Slovenia about the festivals this year. On Facebook I read that they have to still process the raw recordings from the Pre-Kartik festival. Let’s hope that they will send us all recordings shortly. Are the recordings from the 2013 New Vrindavan 24hk a complete album? Not sure if these are all recordings or what you mean by complete album? Still not sure which recording/file you’re referring to. 2013 New Vrindavan has 40 recordings altogether. 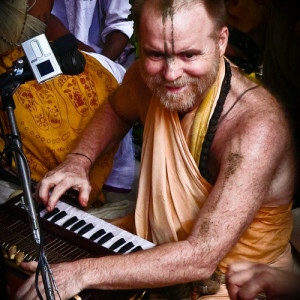 You can also check on http://audio.iskcondesiretree.com/index.php?q=f&f=%2F06_-_More%2F10_-_Bhajans_and_Kirtans_-_Classical_and_Western%2FNew_Vrindavan%2F2013.